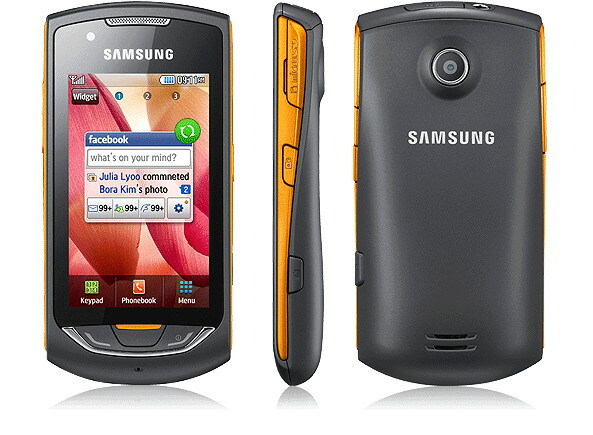 So, we have another mobile phone to review: the Samsung Monte S5620. Now Samsung has a lot of feature phones out in the market, there's the semi-low end Samsung CorbyPro, the mid-range Samsung Jet Ultra, and a pletora of low-end touchscreen mobile phones. SO where does the Samsung Monte fit in? It's somewhere between the Samsung Genio Slide and the Ultra Jet. Let's see how it stacks up against it brothers. The Samsung Monte is almost the same size as the Samsung Jet albeit a bit thicker but the Monte is definitely lighter than the Jet. The S5620 has a 3 inch capacitive touchscreen, sorry, no AMOLED screen here. You'll just have to make do with a TFT LCD screen. Sammy is making good on its promise with the European Commission to make its mobile phones have standard microUSB ports. On the Monte, this is located on top together with the 3.5mm headset jack. One thing I like abou the Samsung Monte's design is that the microSD slot is located outside, protected by a thin plastic flap. Below the screen is the call and end buttons and the menu button. One thing I do like on the Samsung Monte compared with the Samsung Jet is the overall design. The Monte is definitely more eyecatching than the Jet and I'm sure it will appeal to a wide audience (especially younger ones). 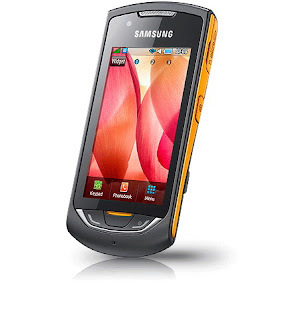 The Samsung Monte is no smartphone but it has features just like one: 3G, accelerometer, GPS, and WiFi. So, it has features just like a smartphone but does it act like one? Well, it has a capacitive touchscreen and scrolling through the menus is fast, kinetic scrolling too but when you open some applications, you'll notice some lags and you'll realize that the Monte is really not a smartphone. In the messaging application, you get the alphanumeric keypad as your default input option. No QWERTY keypad even in landscape mode. That may be a turn-off for some but the I'm actually pretty used to multi-tap and its really responsive. Audio quality through the speakers is pretty loud, standard for Samsung phones nowadays and quality is decent though gets tinny at higher volumes. You can stream audio through a Bluetooth headset or using the bundled headset. Audio quality through the headset is great so the Monte is definitely a good music player and it can playback MP3, AAC, AAC+, and WMA files. I'm a bit disappointed that the Monte doesn't have DivX playback, that would've been awesome but you'll have to make do converting your videos to MPEG4, H.263, or H.264. The acceleromter is a bit fiddly especially when viewing photos in landscape mode. The web browser is not as blazing fast compared with the iPhone or on Android mobile phones but it is useable. There's supposed to be flash but like on the Genio Slide, I can't seem to get it to work. 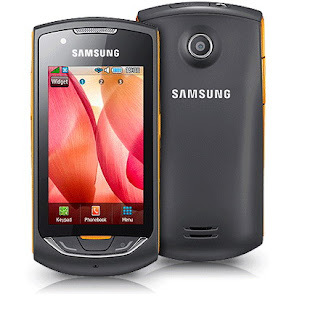 The Samsung Monte only has 3.2 megapixel camera. It's standard on today's mid-range mobile phones and Samsung has already proven itself in the camera phone department so even if the S5620 doesn't have autofocus or flash, it still takes decent photos, kinda like on the Samsung Galaxy Portal. If you're ready to upgrade from your Samsung Genio Touch or LG Cookie and ready to experience WiFi and 3G on your mobile phone, the Samsung Monte is a nice choice without breaking the bank. Good music player, a good browser and decent camera are some of the things it can brag about but if you're missing a physical QWERTY keyboard or a landscape keyboard, there's always the Samsung Genio Slide or the Samsung Jet Ultra. Love this phone. Only gripe is there is no landscape QWERTY keyboard. JUST GOT THIS PHONE ON A NEW CONTRACT AND SO FAR I REALLY LIKE IT. VERY STYLISH AND EASY TO USE. the bluetooth turns on when i try to put a call on hold. any idea why? Considering the value for money, you must think a lot before choosing this phone. bought this phone yeaterday but i cant find the 'library' key when typing sms. anyone know where is the function , if really dun hav how to download it? thanks. Please please please help me! I might sound stupid but I cant seem to find out how to turn the key pad (3 bottom hard Keys) backlight on! Does it have a light??? Please let me know checked the manual but there is nothing in there. The software of Samsung Monte is hopeless. It does not handle the messages (SMS) management. You cant edit or delete or do anything with them. Can anyone please tell me is there any other software of samsung ( I mean any other model of Samsung) which can supporty this Samsung Monte ???? ?